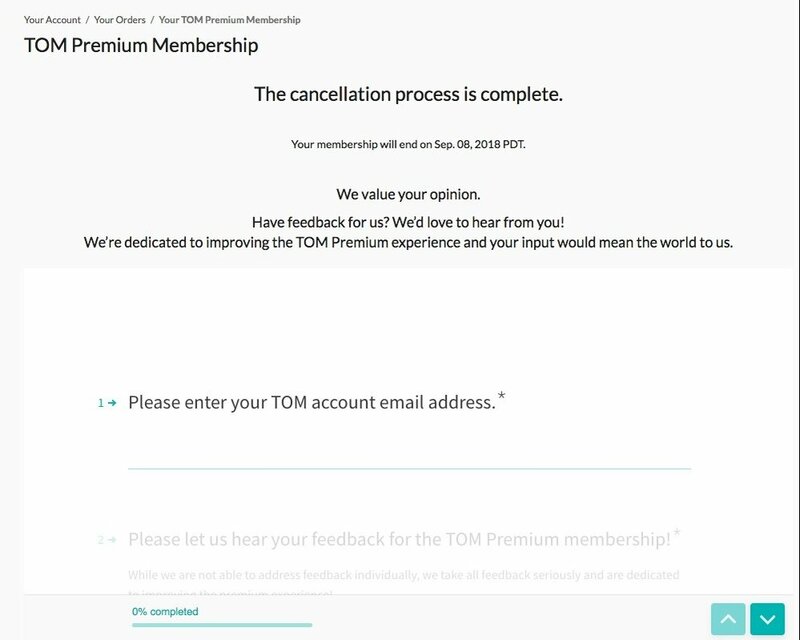 Can I cancel my membership and receive a refund? 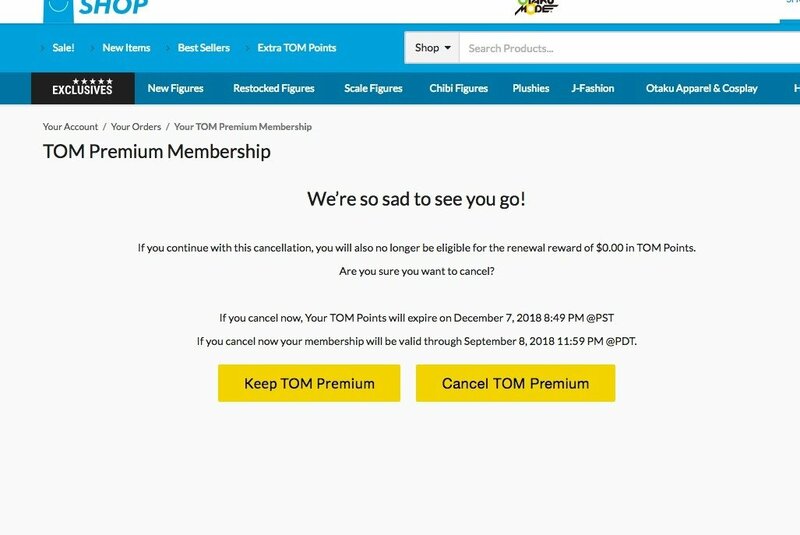 Membership payments cannot be refunded once processed. 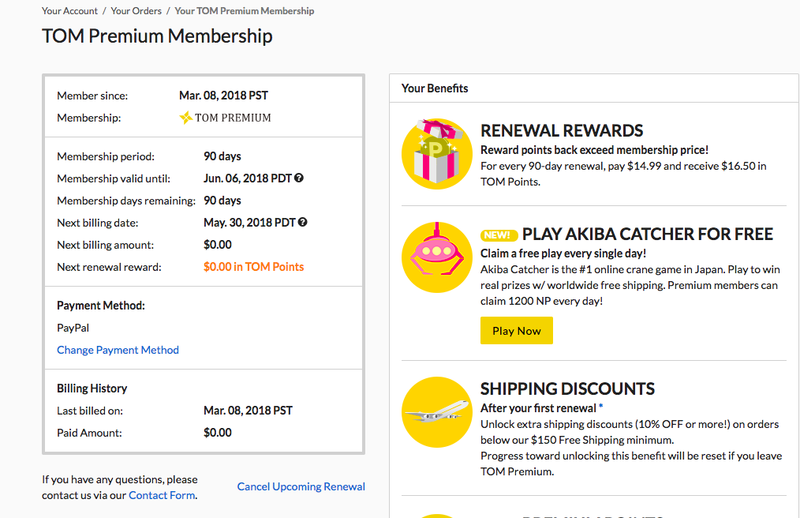 You can cancel your next membership renewal from your TOM Premium Membership dashboard, but will lose access to all present and upcoming benefits for members after your membership expires. 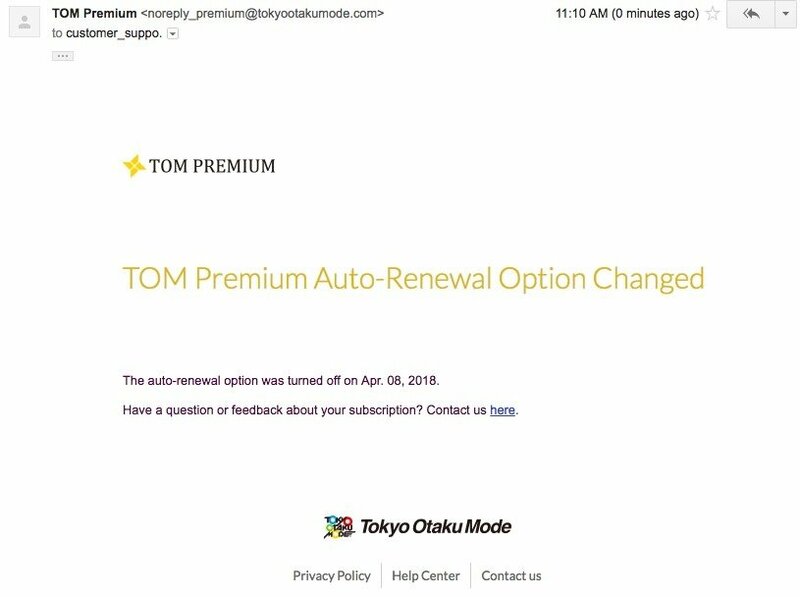 To stop auto renewals, please visit your dashboard and click the "Cancel Upcoming Renewal"* link and then confirm your choice. This will prevent any new charges from being issued for your membership and it will expire automatically. However, any renewals already processed are nonrefundable, and you will lose access to any current and future benefits upon membership expiration. The link is under the billing info section. 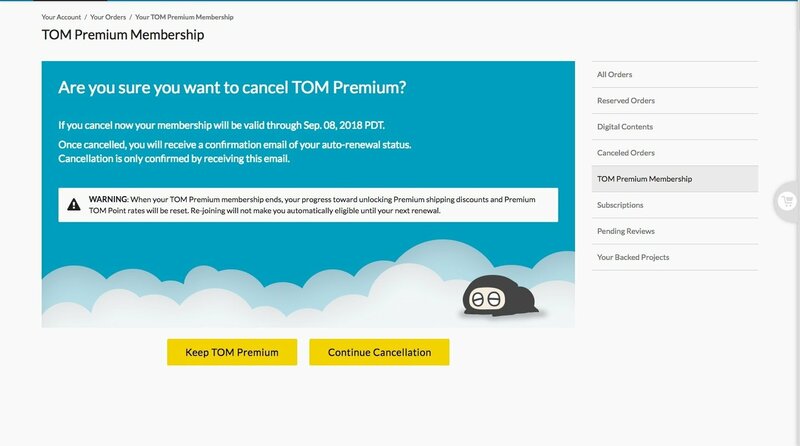 Please know that you will encounter an error and will not be able to cancel successfully if your subscription is in the actual process of charging you for a renewal when you try to cancel. Please check the warning and click "Continue Cancellation". Confirm terms and click "Continue Cancellation". After confirming, you will be taken to the confirmation page. Kindly offer any feedback you have for our service in the optional survey on the confirmation page! It will help us improve the premium experience for you and all users in the future! You will also receive a confirmation email of your auto-renew status change. Please note that if you do not receive this email, it is likely your cancellation did not go through. Email us to confirm your cancellation in this case. We cannot refund renewals that were renewed due to failed auto-renewal cancel.